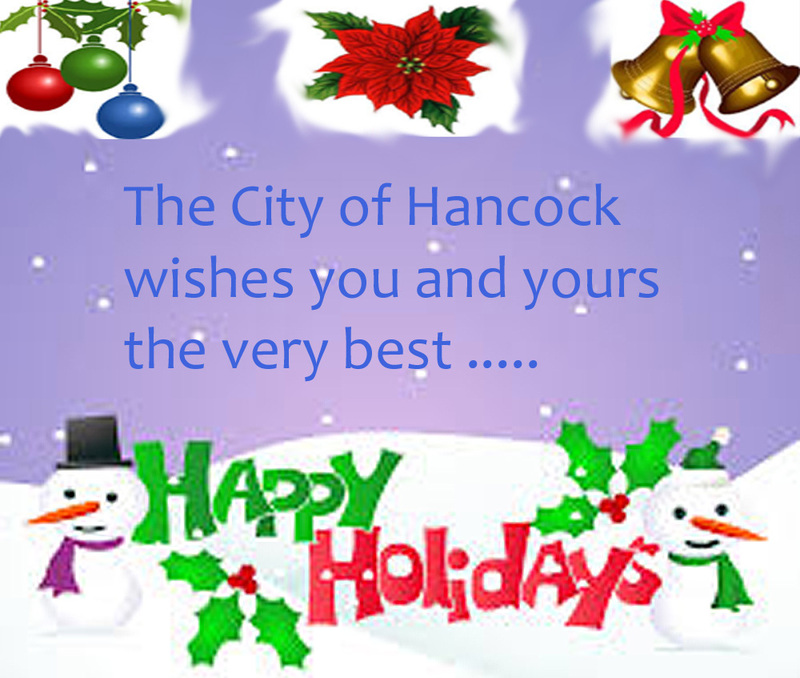 It’s the Holiday Season again, and Santa Claus makes his annual pilgrimage to the City of Hancock to meet with the girls and boys. While the weather was a bit cool, it was not as cold as last year, and there was no snow in the air. 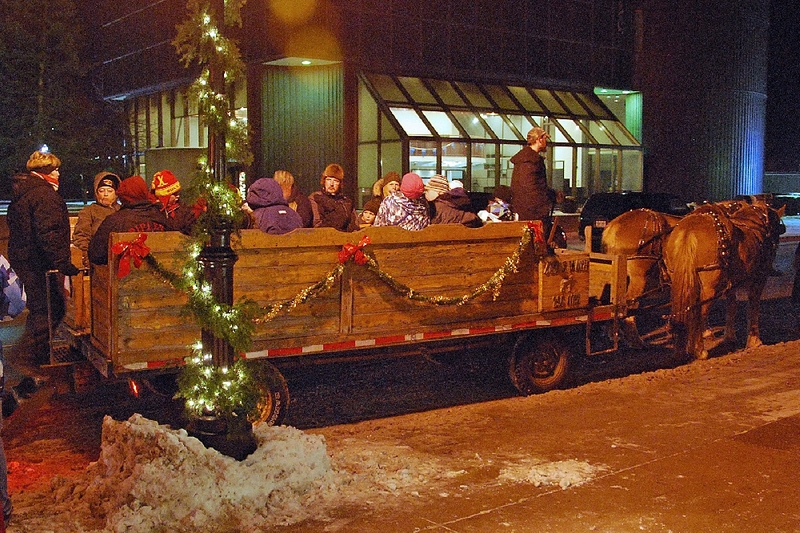 Once again there were sleigh rides during the afternoon and evening, giving shoppers and those who came for Santa a chance to enjoy a sightseeing ride through the City on a great winter Holiday evening. 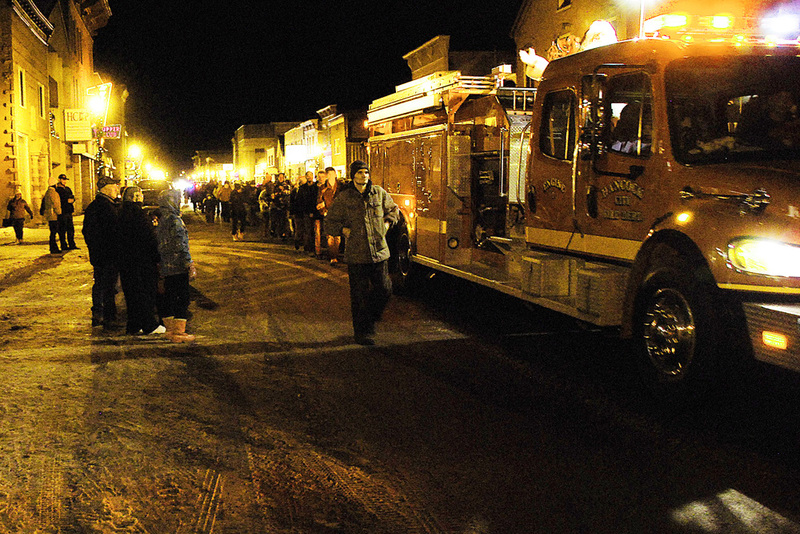 The Annual Black Friday Parade starts at the former Scott Hotel, where Santa arrives with his sleigh, He is escorted to the Hancock City VFD Pumper Truck, for a ride through the City. 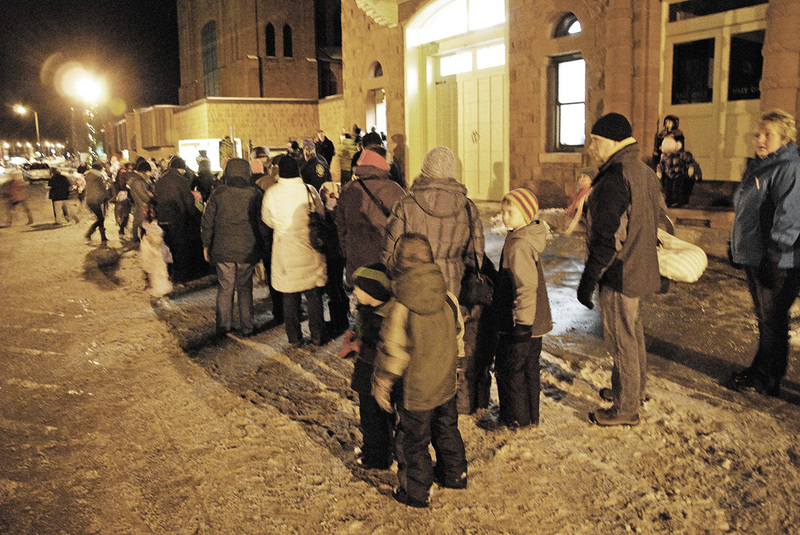 A good crowd of parents and guardians await with youngsters and their wish lists for Santa outside of City Hall. 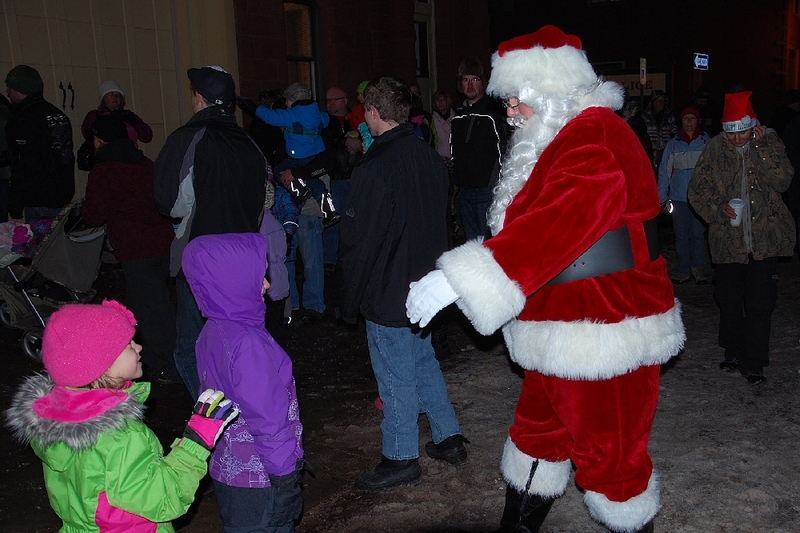 And Santa arrives along with the marching crowd. This toddler isn’t sure what to make of all this. 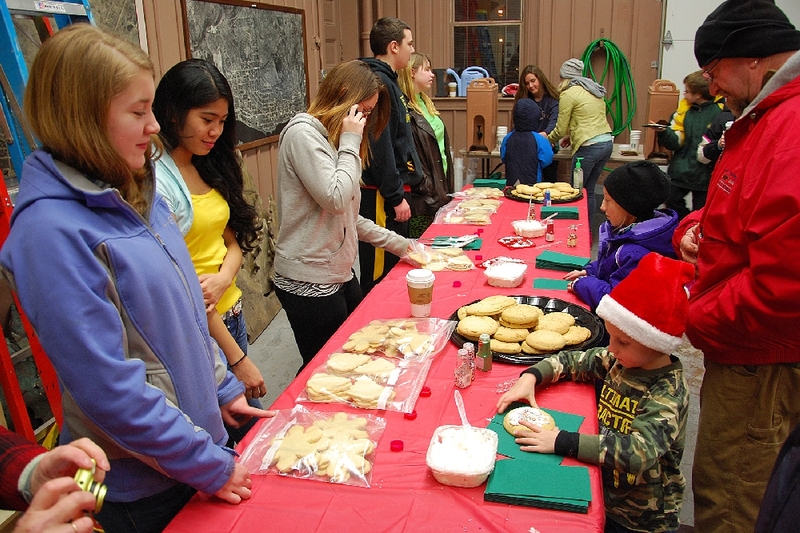 Tables of goodies provide tasty tidbits for the on hand crowd, something to eat while waiting their turn to see Santa Claus. Now, which do I want first? 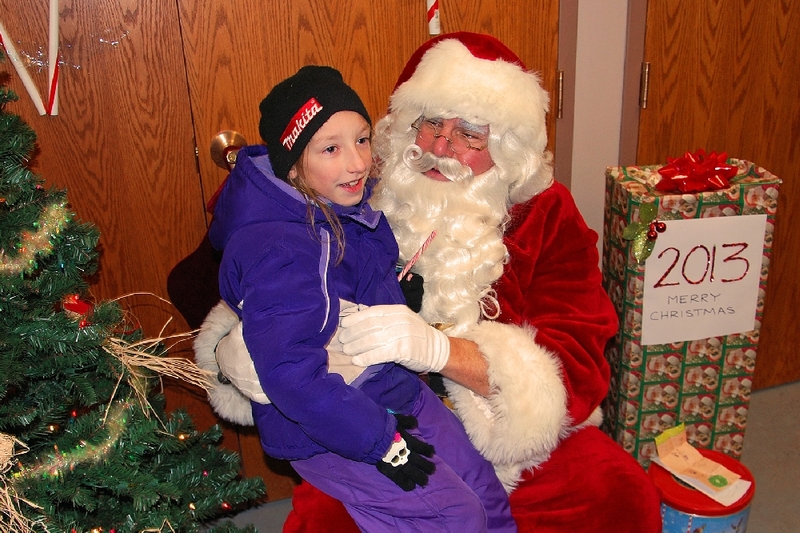 This young lady is Dannika Linna, daughter of Jessica Linna, granddaughter of Ken and Pat Linna, Hancock, who brought her downtown to see Santa, Dannica is eight years old. 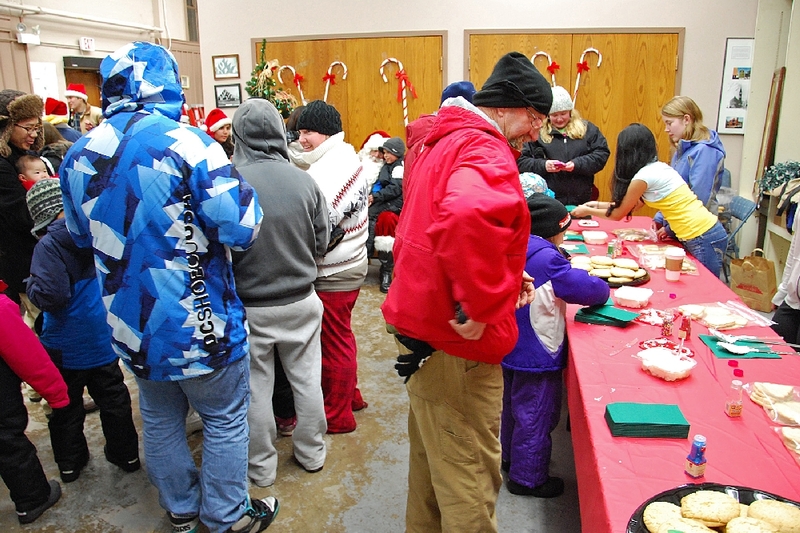 Everyone had a greeat time. 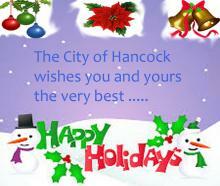 SEASON’S GREETINGS FROM THE CITY OF HANCOCK, CITY OFFICIALS AND CITY COUNCIL, AND OUR CITY EMPLOYEES. Hancock High School National Honors Society Members prepare the Downtown Hancock Planters.